Editor's Note: This week, the Ontario government announced that after years of uncertainty and delay, construction will soon begin on a series of all-weather roads connecting First Nations communities within the Ring of Fire region to the provincial highway system. It's the first crucial step toward opening up the mineral-rich area to resource development — but it also stands to radically alter a globally significant ecosystem. In this story, originally published in the March/April 2017 issue of Canadian Geographic, Jessa Gamble explores what's at stake in the Ring of Fire. Sandhill cranes stand preening in the sedge-covered fens. Their bugling calls merge with the clamour of vast goose colonies that carpet the peatlands with motion. More remote by some measures than many parts of the Arctic, the James Bay Lowlands, at the southern tip of Hudson Bay, are at their most phenomenal in spring when they are overwhelmed with bird life. Fens and untreed muskeg full of sphagnum moss alternate to form a mottled pattern of string bog. 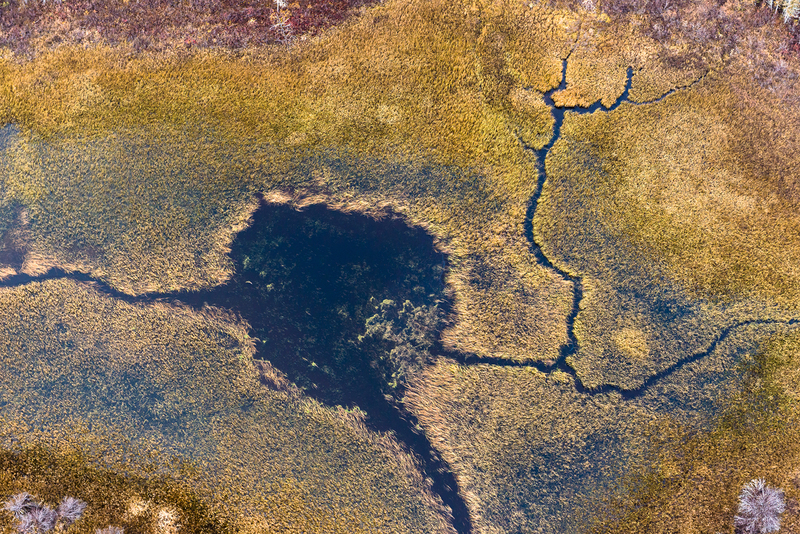 This wetland landscape houses the area now known as the Ring of Fire, 400 kilometres northeast of Thunder Bay and 300 kilometres from the nearest paved road. Here, mineral exploration has uncovered some of the largest discoveries in Canadian history. With the potential to yield $60 billion worth of nickel, chromite and other minerals, the deposits are substantial enough to support mining operations for a hundred years. The Ontario government has pledged $1 billion toward infrastructure — mainly in the form of a road to the area — to encourage the mining industry. Current exploration covers a 5,000-square-kilometre crescent and dozens of junior mining companies have staked claims, but the major discoveries are concentrated along just a few kilometres of land. In the early years, a series of companies attempted to make headway in securing permits, but their negotiations with local and government stakeholders stalled out. Having bought the holdings of its last major competitor, American Cliffs Natural Resources, Toronto-based Noront Resources claims the lion’s share of the Ring of Fire. It is now the only major player with concrete plans for developing mines. With so much at stake, not just the region’s mineral wealth and economy but its environment and First Nations are poised on the brink of massive transformation. David Paul Achneepineskum is the CEO of Matawa First Nations Management, the tribal council that represents the nine communities in the area. He is a member of the Marten Falls First Nation, on whose traditional lands Noront’s Eagle’s Nest nickel mine will be built. Cree and Ojibwa bands have inhabited the James Bay Lowlands for thousands of years, and their rich marten-trapping grounds attracted Hudson’s Bay fur traders in the 1600s. Settlements formed around the trading posts. “In five of our communities there has been little or no change at all in my lifetime,” says Achneepineskum. “All-weather airports have been built, but they have never seen any development at all.” The four other communities are close to the main highway, he says, and those road-accessible communities have seen some small-scale mining and forestry activities. “Although they may have modern housing and electricity, people still live off the land and rely on it for food, medicine and shelter,” says Achneepineskum. He expects this to continue as a way of life for many, as long as the land’s health is not disrupted by development. The Matawa council needs time to study the mountain of specialist information that accompanies industrial megaprojects and to communicate it to their members. Most of all, they are trying to prevent rushed and short-sighted decisions about their land, so they welcome the recent postponement of any mine construction to 2018 or later. Compared with other types of megaprojects such as pipelines, which require few employees after construction, mines do reliably provide job opportunities, at least for their lifespans. Noront Resources’ Eagle’s Nest mine is expected to require 350 people on site for between 11 and 20 years, with 500 needed during the three-year construction phase — not including the workers who will create the all-weather road. Mining companies, for their part, are keen to hire locally, which helps them earn the social license to develop their claims. There are very few employers in the region. For the 1,300 members of Webequie First Nation reserve — at a distance of 80 kilometres, the closest community to the proposed mine — there are four employers in town: the band office, an elementary school, the nursing station and the Northern store. Unemployment hovers around 95 per cent and the median annual income is less than $12,000. Elsewhere, unemployment rates in the mid-90s might indicate a depressed or even collapsed economy, but in the James Bay Lowlands they reflect how little of people’s productive activity currently takes place in the wage economy. In such isolated locales, research can be sporadic, and the most recent study of the traditional economy in the Hudson Bay Lowlands was conducted more than 20 years ago. The subsistence economy then accounted for a large proportion of the communities’ livelihood — roughly $8,400 in value per household, annually. By all accounts, not much has changed. Residents still rely heavily on wild meat: moose, caribou, Canada goose and lesser snow goose. That continued reliance on the land has led to uncertainty around the planned developments in traditional hunting and trapping areas. Those traditional hunting grounds, the James Bay Lowlands, form part of the Hudson Bay Lowlands, the largest contiguous temperate wetland complex in the world. Beyond their natural beauty, they perform vital ecosystem services that benefit even those who will never visit — particularly in water retention and carbon sequestration. Bog moss can hold up to 30 times its own weight in water, with any excess flowing into the fens. 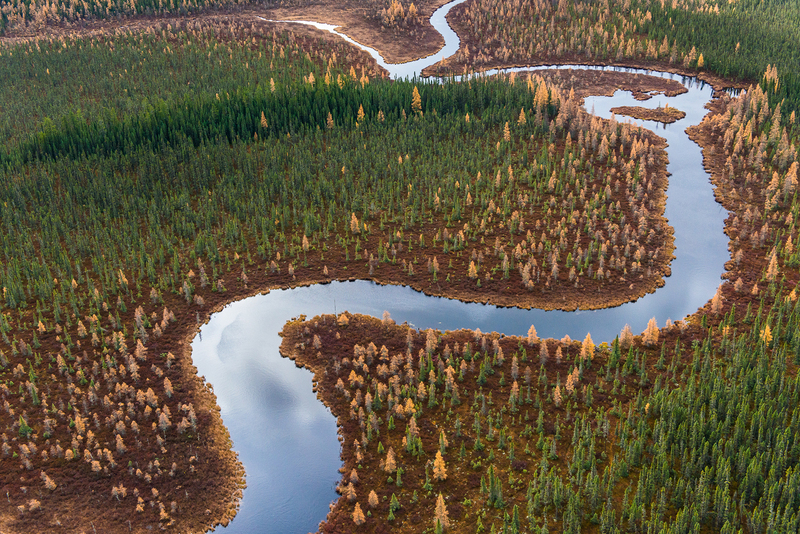 There, peat thickness averages 2½ metres and freshwater runoff is channelled through the high water table directly into the streams and into the brackish water of James Bay. “At one point I calculated there was as much water in the Hudson Bay Lowlands as in the Great Lakes, it’s just spread out on the land. Effectively they are shallow water bodies,” says ecologist John Riley, who first arrived in the James Bay Lowlands in 1972 to conduct research for the Royal Ontario Museum in Toronto and has since become a leading expert. Riley worries that the unique location of the Ring of Fire, at the core of a hitherto undisturbed refuge for all of its original wildlife species, is being largely ignored in the rush of excitement about riches. He believes the project delays provide the perfect opportunity to set aside some protected areas and conservation reserves. De Beers has been criticized for building a diamond mine in the wetlands in the same way they might build one on the tundra, without adequate berms and other protection for the environment downstream. So when Noront Resources took on the task of designing their nickel mine, west of Victor, they wanted to learn from De Beers’ experience and do things differently. The initial concept for all the planned mines in the area began with an open pit design, in which the “overburden” of plants and animals would be scraped away to expose the Precambrian rock beneath. Noront held open houses in the Matawa communities to explain their plans and hear concerns. “Almost invariably, they were concerned about water, waste rock piles and tailings. So we went back to our planning phase and redesigned the mine,” says Noront’s CEO Alan Coutts. The resulting design is almost entirely underground with very few surface structures at all, leaving the muskeg undisturbed. 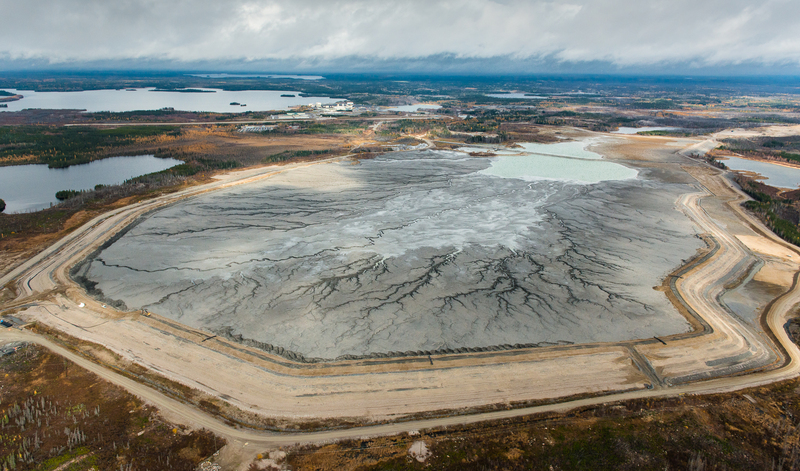 In addition, Noront contrived to put all its tailings back in the ground where they came from. Tailings are the primary legacy of a mine, and in the past few decades, mines have started to mix them with cement and funnel them into spent shafts as backfill. But the process of grinding up the leftover rock into powder swells it in volume, so only about two-thirds of those leftovers can be jammed in before they begin to overflow. “Then we realized that we would need a rock quarry anyway for building the all-season road, so why not put that quarry underground, making that extra space for the rest of the tailings,” says Coutts. After two or three years, the plan is to use the Eagle’s Nest proceeds to tunnel over to a nearby site that holds enough chrome ore to supply 40 per cent of North American demand. As is often the case with large-scale projects, however, initial timing estimates proved optimistic, and there have already been significant delays. First and foremost, the all-weather road is critical to the development of the region. Ice roads have been failing recently, the window in which to transport goods by truck contracting to just two or three weeks, and diesel fuel for the community generators often must be flown in at great expense. The new all-season road would trace the decades-old winter route that stretches 280 kilometres from Webequie to Pickle Lake — but it is also expected to see intense traffic, carrying up to 100 seventy-tonne truck loads per day when the mines are in production. The transition into jobs in the Ring of Fire will be challenging. To join that wage economy in roles such as heavy equipment operator or exploration camp cook, a minimum Grade 12 level of formal education is necessary. The trouble is, none of the nine Matawa communities has the numbers to sustain a high school. More than 200 students from those communities are studying in Thunder Bay at any given time, living with billeting families. Most do not have enough support in place to graduate, and they return to their communities without a diploma. At home, many of those high school-age students have lived under a boil-water advisory for most of their lives. Problems with an improperly-installed community water treatment facility in Webequie have kept the community from clean tap water for upward of a decade, and a similarly long-lasting boil-water advisory in Marten Falls is the result of 120 households relying on a treatment plant built for 40 homes. In the meantime, the federal government has spent more than two million dollars flying in bottled water. Another barrier to community development — not to mention general health and well-being — is the widespread addiction to prescription opioids Percocet and Oxycontin. More than a hundred people, a sizeable proportion of the adult population of Webequie, had enrolled in the suboxone program offered by mining company Cliffs Natural Resources (subsequently bought out by Noront), as part of its work-readiness initiative. A strong relationship with the land is one of the ways the Matawa people can heal from these problems, says Achneepisneskum, building confidence and strengthening traditional knowledge. That’s why any threat to those cultural connections is especially worrying. “There are still some who have concerns about the impact on the water and the land and livelihoods,” he says. As they struggle to find their place in the modern economy without losing their identity, the Matawa communities themselves seem to be scouting the skies for rising winds of opportunity. The Ring of Fire could be just such a thermal updraft, but it carries the uncertainty of massive, irreversible change. In the coming years they will decide whether, and how, to make that leap into the unknown.